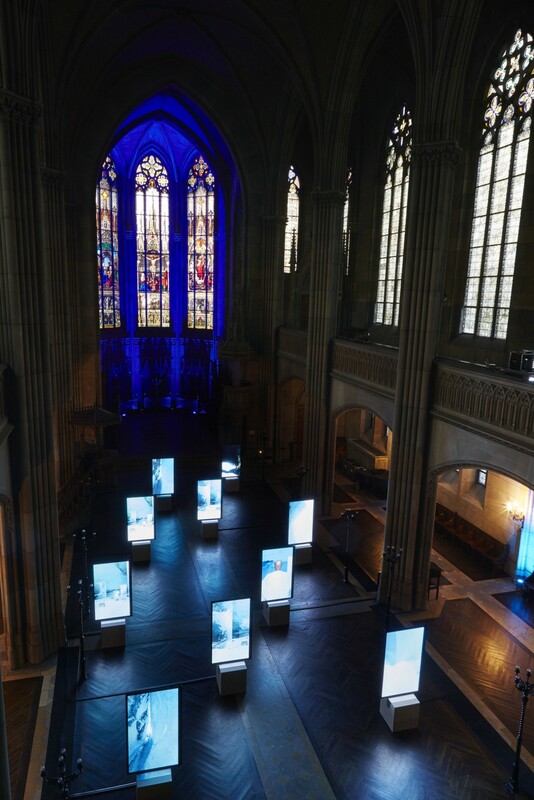 Rolls-Royce Motor Cars presented the first public showing of Isaac Julien's new work Stones Against Diamonds during Art Basel in Basel, 2015. 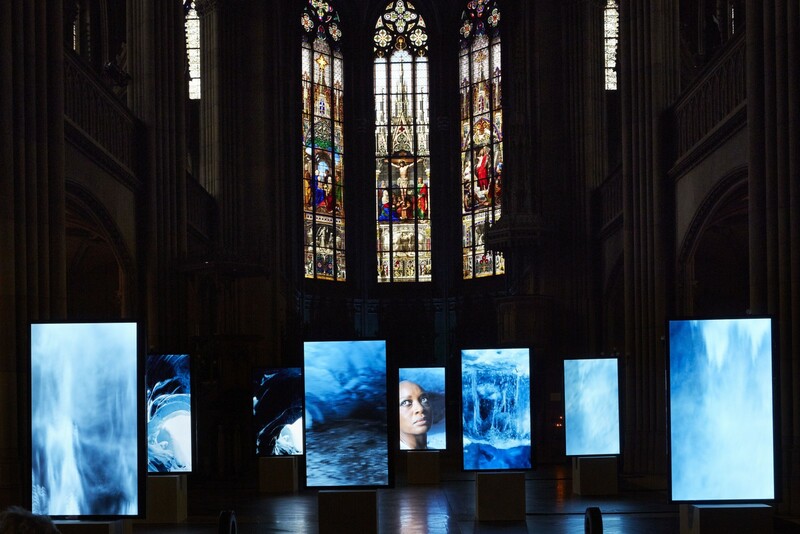 The work which was commissioned as part of the Rolls‑Royce Art Programme and was shown at the Kirche Elisabethen, Basel. 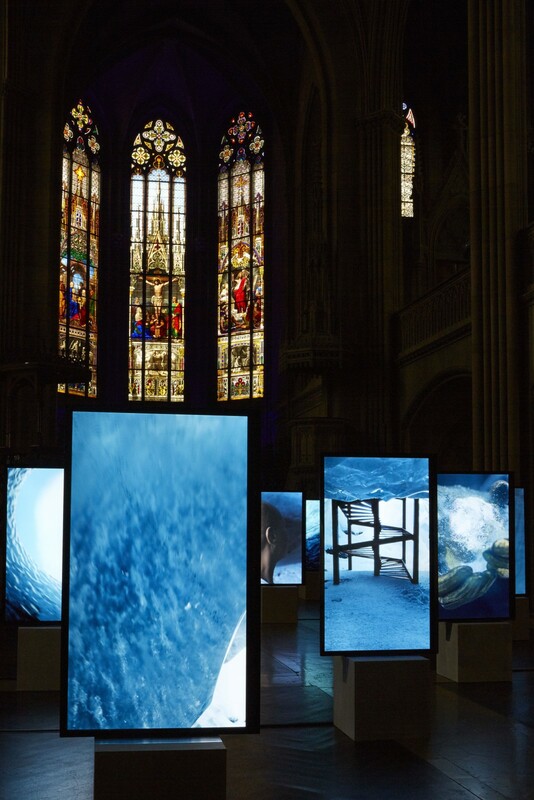 Following the preview during the Venice Biennale last month, the video installation will be shown on a larger scale than previously seen, as a unique site specific installation filling the magnificent interior of the imposing church across ten screens. Isaac Julien's film draws inspiration from a letter written by Brazilian architect Lina Bo Bardi. Stones Against Diamonds examines themes within her letter, where she praises the beauty of natural elements over preferred precious stones. Filming the work in remote Vatnajökull region, in South East Iceland, using the breathtaking scenery of glistening ice caves as a set for the film, Julien portrays some of the most beautiful objects as the least precious in a conventional sense. The shoot took place over five days with the crew enduring sub-zero temperatures deep in the heart of spectacular glacial caves, formed in ice over thousands of years and accessible for only a few days a year due to the harsh climate. 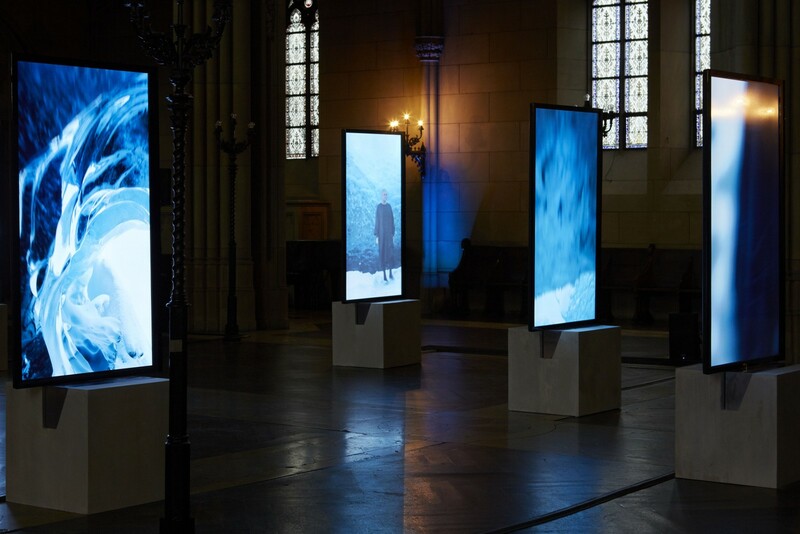 Signature elements of Bo Bardi's work have been incorporated into Julien's work, including a staircase, meticulously built by hand in the ice cave during the production of the film. In a move providing technical challenges for the 50-strong crew, a larger version of the staircase was recreated during post-production before being merged, using CGI, replicating Bo Bardi's famed spiral staircase. Continuing the parallels, Julien incorporates Bo Bardi's signature easels in his film, made of glass and concrete, two elements present in the majority of her work. 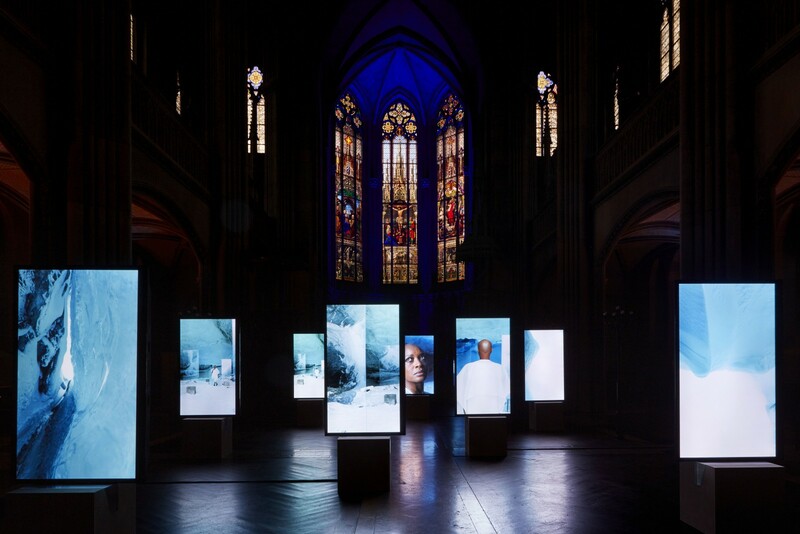 The way in which Julien's film will be installed in Basel continues this representation, as the artist will use multiple screens positioned to draw direct comparison with Bo Bardi's work. Stones Against Diamonds will be shown on a loop, repeated five times within the hour across the ten screens, each time varying slightly to add an element of surprise for the viewer. 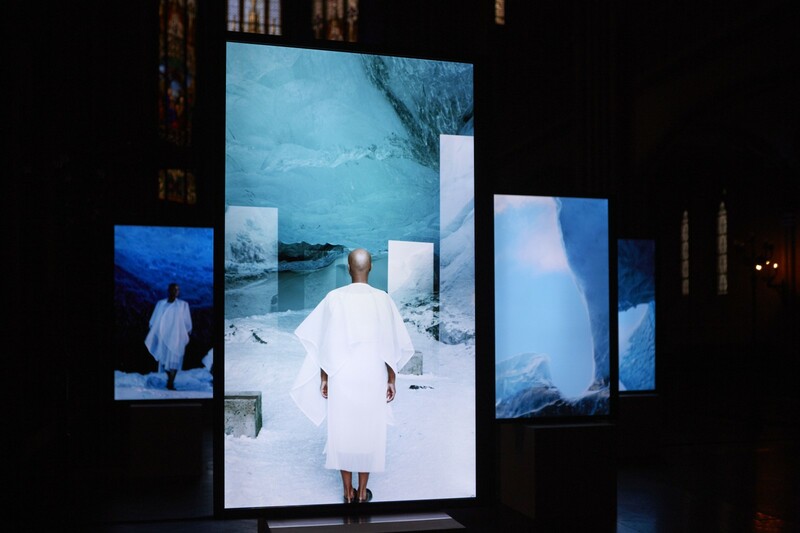 Richard Carter, Director of Global Communications, Rolls-Royce Motor Cars said, "The crew travelled to the ends of the earth to find the most beautiful natural components in order to create a piece of moving, dramatic and timeless art. This truly reflects Rolls-Royce, where the master craftsmen and women source the world's finest materials to create rare, unique and exquisite motor cars, which transcend their primary function as a form of conveyance to become works of art themselves." 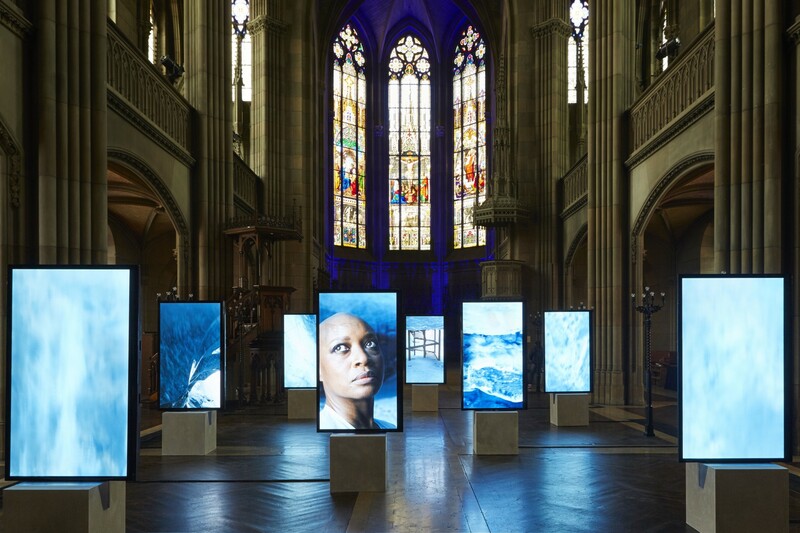 Isaac Julien, commented on the work, "It was the breadth of Lina Bo Bardi's creative impulse and egalitarian beauty of her work that moved me to develop a poetic homage on the art and life of Brazil's most important woman architect. Stones Against Diamonds is the beginning of my exploration of her emblematic architectural designs and innovative curatorial strategies that have inspired me following the centenary of her birth in 2014." Stones Against Diamonds is commissioned as part of the Rolls-Royce art programme, which draws together the handcrafted elegance of the marque's motor cars with contemporary artists around the world. 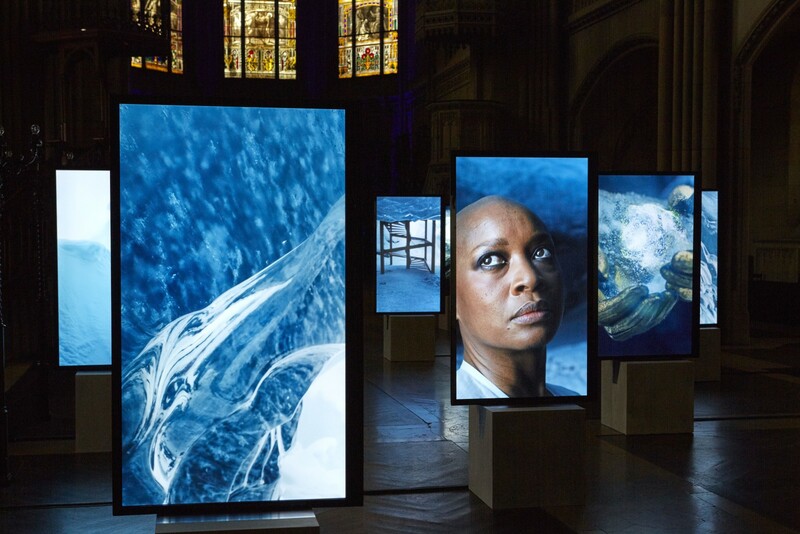 Internationally acclaimed artists including: Ugo Rondinone, Erwin Wurm, Regina Silveira, Will Cotton, Angela Bulloch and Morgan Wong have featured in the programme. Julien's new commission extends his ongoing relationship with the marque following an 'artist talk' that he gave as part of the Rolls-Royce art programme during Frieze Art Fair London in 2012. Stones Against Diamonds is a prelude to a larger piece that Julien is to complete in 2016, which will meditate on Bo Bardi's creative production, and will be shot in Italy and Brazil.